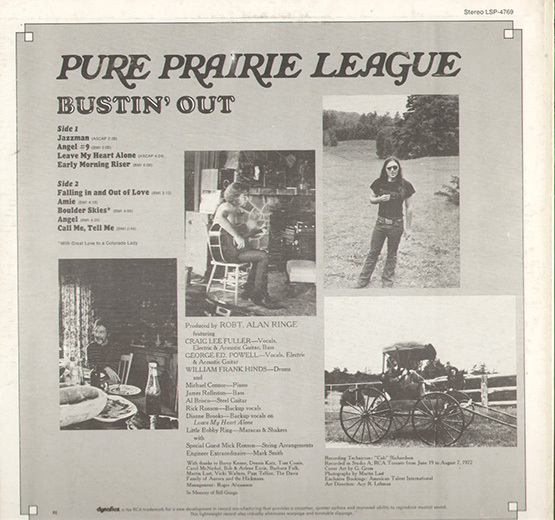 Pure Prairie League • View topic - Why Did Fuller Never Get The Attention? Why Did Fuller Never Get The Attention? No doubt, Craig Fuller is one of my favorite singers there has ever been, I love his music! His smooth vocals and skillful writing styles make his songs irresistible. But he never got the attention, if you know what I'm saying. Many people are familiar with Pure Prairie League's "Amie", but only the fans know it was Craig singing! 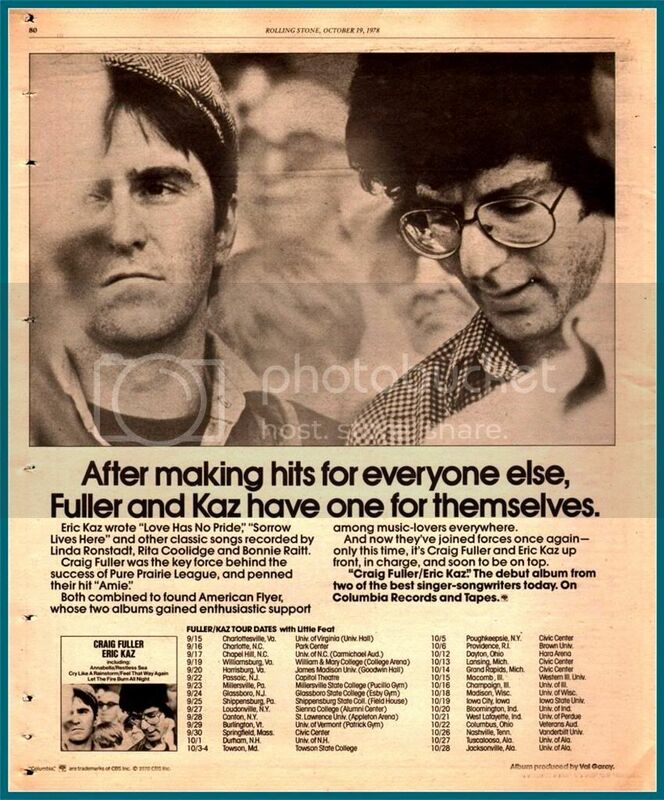 And by the time he was doing the Fuller - Kaz album, probably one of my favorite albums of all time, it didn't even scratch the charts (Probably due to a extremely weak advertising campaign, being spawned in the disco era, and Eric's less then commanding vocals, etc.). So what's your take on this? Did Fuller earn the attention he deserved, or was he truly a great singer that never got the attention? And if so, why didn't he get recognized? Re: Why Did Fuller Never Get The Attention? If anyone deserves recognition for his musical achievements and abilities, it is without a doubt Craig Fuller. From all I've read and know about him, he never wanted accolades, just to be able to make good music. I've spoken to him and he seems very humble and down to earth to me...a breath of fresh air. Given his success in the music business, one has to admire him even more for having remained so well-grounded and true to his convictions. His lead guitar work from the first album is truly amazing and intertwines so perfectly with John Call's pedal steel phrases but you rarely see that mentioned. Also his lead vocals from that album are unsurpassed. Craig has been an inspiration to many musicians including myself and his music has brought enjoyment to many fans worldwide. I would imagine that he takes great satisfaction in that and the bottom line is that he is enjoying his life both as a successful musician and family man. He never wanted to be a big star but in so many ways, he really is, and that is very cool. That's some very good thinking Dan Williams! And I can believe that he would be happy with his music career. Even though he's not along the lines of a Mick Jagger or Paul Simon fame, he still has many dedicated fans, and he's brought satisfaction with the original 2 PPL albums to many! Craig never became a household name or reached that superstar status like others who may not have had his talent ,but in the end he's all the better for it as today he can fondly look back at his past work,work on new material as he did for the extremely successful All In Good Time, pick and choose where, when and what he wants to play, and most importantly live an extremely enjoyable life with his family. He's mentioned to me in the past that the music is a distant second when it comes to prioritizing what's important, what gives him satisfaction and pleasure. It's always been that way for him and he's to be admired for it. To address one thing : for those who wonder why he is not with PPL today , almost like it's some type of major affront to them, I find that line of thinking a bit outlandish. He has nothing to prove, he's in his 60's and fortunately is not one of those guys out there now still trying to convince people that he matters. People already know it. He doesn't look to reinvent the wheel . He enjoys himself and that's what it's all about today. Over the last several years he has spent a great deal of his time working with his son Patrick who, by all accounts, is an outstanding musician himself. 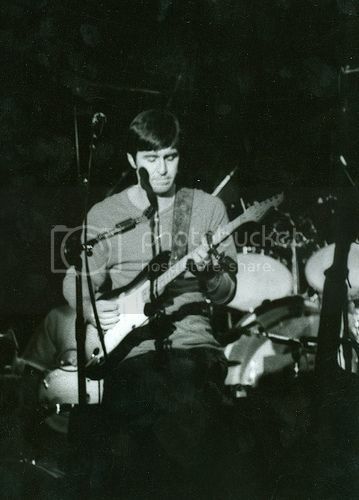 Patrick performed on the first track on All In Good Time, has performed with PPL and Little Feat and done solo shows with Craig.There is no mystery or reason to question why Craig is not touring. The days of trying to grab a piece of the music puzzle are long past, his puzzle a masterpiece which still may get another piece added. Time will tell. Until then we can relax and enjoy all that he brought to us, and so can Craig. Perhaps the single most reason he never became the recognizable household figure can be summed up in one word: visibility. 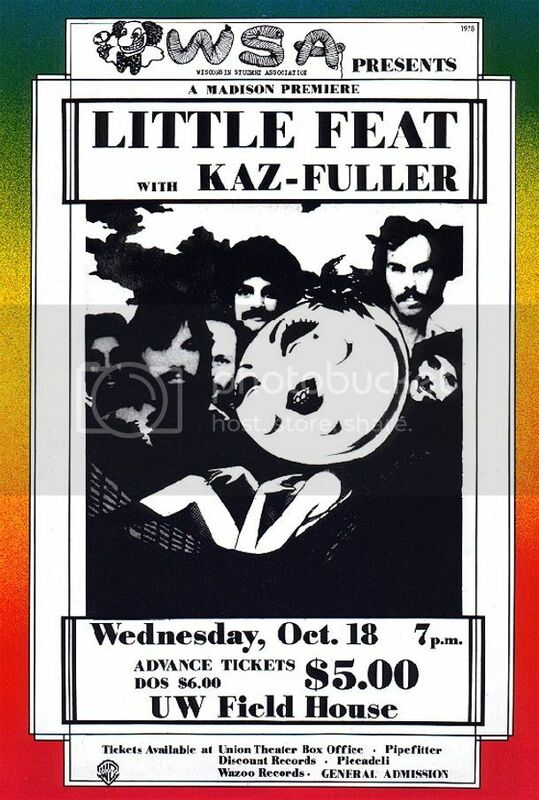 PPL toured after the first and second LP's were released and shortly after the second tour Craig was gone, not to be seen until on stage until 78 with the Fuller Kaz band. He wasn't with PPL when his music soared although the acclaim and money was there. American Flyer, his group in 1976, never toured. Most fans were not able to put a face to the music.Not until the late 80's when he fronted Feat did he finally get the visibility he deserved and boy he sure ran with it. Craig's uncanny ability to pop in ands out of the music industry has always amazed me. In part it's his confidence in his abilties. In part it's his personal chemistry which can be headstrong and unwavering at times. He knows what he wants and knows how to do it, despite an industry that sometimes tries to convince you that you don't. The immortal Amie is certainly an example of that , given that RCA rejected it from the first LP. That part of Craig has always struck me as an indicator of what he's all about. Although he surely experienced more than his share of frustations along the way, he never let the industry eat him alive much less defeat him. He seemed to always have his finger on his own pulse and managed to control whatever came his way.He took things in stride, cut his path and remained uneffected when adulation came his way.For instance, when I asked him about his incredible performance on Little Feat's Austin City Limits show , which has been acclaimed as one of that storied show's greatest nights and is mentioned in their 30th anniverasry book, he'll describe how he was flat on his back from food poisoning in the hours leading up to the show, but then smile and add "Vicki was with me." Vicki is his adoring wife and takes center stage.He barely spoke about his outstanding performance which was mesmerizing. That in a nutshell probably sums up Craig today. I watched him calmly sit between PPL shows in the mid 80's as fans lined up to ask questions, comment on his work etc. He was extremely polite and appreciative yet obviously unfazed by the attention. I've stated before he may be too humble for his own good or sometimes the good of the band, but that in itself is rare and should be something we can all respect. Craig and PPL have always let the music do the talking and it's worked out well for over 40 years. Too many today are all about interviews glorifying themselves,trying to convince you of their importance to such an extent that you wonder if they even believe it. He never speaks of himself or PPL as an influence. That is left to others, no need for self promotion. Perhaps the most memorable comment I can recall which slightly goes toward self promotion was when an interviewer asked him if he was worried about singing lead in Feat after Lowell George. He responded " I'm not afraid to sing after anyone, I know I can sing." He sure proved to be a self fullfilling prophet with that response. Craig ultimately received his due recognition for his unique talents as a singer/songwriter and musician as well as for being a visionary in country rock. It's no mystery why PPL's music has been acclaimed the greatest country rock ever recorded, and certainly Craig was a huge factor , as were those that followed him or played with him.His path to success however was as unique as the man himself and is a factor in why the superstar status eluded him. As you probably know, Craig's problem with the draft led him to a point where he had to leave PPL in 1973, before the music took hold.He was no longer with the band when it rose to the top as his music, brought to national attention as the Fuller-less PPL caught fire and forced RCA to sign them and rerelease the first 2 LP's and Amie as a single. He returned in 1976 with American Flyer. Again , while Craig's work with them received tremendous accolades, they never took off for a variety of reasons. Perhaps George Martin's lavish productions were a reason or his method of choosing songs for their debut LP: two from you, two from you, two from you etc. At that time, Craig was easily the most recognized guy in the band and Bustin' Out sales were going through the roof. Why not fully take advantage of Craig's talent ? They didn't. By the time the second LP was released the group had splintered and plans to tour after it's release were shelved. They never did a tour in their existence which led to it's doom. Poor vision and management on a band with huge potential. When I asked Craig's old neighborhood buddy the phenomenal steeler John David Call about the debut LP he too was startled a bit: " I like them, I like them a lot. But if they were smart they would let Craig sing every song like he did with us." Warm, pretty harmonies and intelligent songwriting are the hallmarks of this debut LP from a group assembled with high hopes by United Artists from four singer-writers who have played key roles in respected groups like Pure Prairie League and the Blues Project. The premiere American Flyer album is a fine piece of work which all concerned can be proud of. Best cuts: "Lady Blue Eyes," "Love Has No Pride," "Light Of Your Love," "Call Me, Tell Me." This new group has a lot going for it from all angles. Craig stated Eric Kaz was a guy he liked to work with. When I spoke with him about Kaz, who is still good friends with Craig today, he stated "he was the guy who wanted to work on things and so did I so we paired off." Of course that led to the Fuller- Kaz LP. Again,very poor promotion, I believe no single released. But a tour with Little Feat would lead to bigger and better things about ten years later. It's been mistakenly written on the internet that Lowell George was to produce a second LP but it's wrong. He was going to do the first and only one, but he kept delaying it and was not in the best of health at the time so plans were scrapped and they went with Val Garay. There never were any plans for a second LP. Again , much critical acclaim but similar to American Flyer , poor promotion and perhaps not using Craig to his fullest extent. However they still managed gather an audience and more importantly reintroduce Craig to live concerts and fans. Fuller and Kaz are proven singer/songwriters and most recently formed the nucleus of American Flyer. Here they produce 10 well-crafted songs in a Jackson Browne/Los Sayer vein that rely on lyrics and melody. The musicianship is first rate, using some of the best players on guitars, bass drums and keyboards, and Leo Sayer adds harmony vocal as one track. "Feel That Way Again," "You Take A Heart," "Let The Fire burn All Night," "Annabella," "Restless Sea." With producer/engineer Val Garay (Eric Carmen, Pablo Cruise, Linda Ronstadt), Craig Fuller & Eric Kaz found a sympathetic ear for their romantic, acoustic-based pop-rock. Garay's production, for the most part, stays out of the way of the material, which with Fuller's throaty tenor, carries the record. ‚Ä¶ Kaz's less than commanding vocal occasionally drag the album down, but cuts such as Fuller's "Feel That Way Again," the Kaz standard "Cry Like a Rainstorm" and their collaboration, "Annabella" make Fuller/Kaz worthwhile for anyone interested in the genre. Note how almost all the songs highlighted as best cuts from both groups are the ones Craig sang. Craig chose to leave music. He would reunite with PPL in the mid 80's and appear on the Mementos CD. In between two PPL shows in the mid 80's at the famed Lonestar Cafe in NYC (now defunct like far too many) Craig informed me he was leaving PPL and joining Feat .I was shocked and full of questions. He was cool and casual about it yet also confident and excited about the project. I recalled the Fuller -Kaz tour with Feat and realized the tremendous potential it held. How could it miss right ? A casual conversation Craig had with I believe Billy Payne ultimately led to Craig's tenure with Feat. Craig and Feat members became close friends during the 78 tour (which also featured John Call who Craig brought in) . Craig and John joined the band every night for encores. I still have a few songs from those shows. 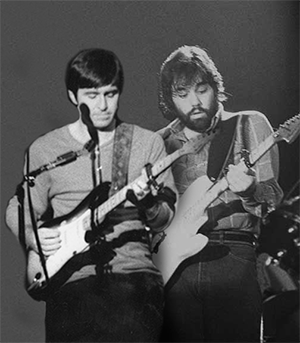 Craig amazed the band, including Lowell George, with his singing as Craig and George traded lead vocals on tunes. He was a powerful performer and that band never forgot it. No audition was required, The rest is history as Craig's talent overcame a strong bias, leading Feat to it's largest selling studio LP, a gold record and dragging two more Feat LP's into platinum status a few months after Let It Roll went gold. A truly remarkable time for Craig and Feat as the band experined more national attention then ever with numerous TV appearances including ACL and SNL.The band rocked and so did Craig. Craig departed and again, family reasons took priority.Once again, he had made his mark, delivering a style many of his fans were not accustomed to yet proving beyond a doubt that what he had to offer was something truly special, something very few in the industry could accomplish. And man, did he boom out some tunes live ! Whew ! Incredible years. Of course, Craig returned .Mike Reilly contacted Craig in the late 90's and PPL was at it again. Around late 2004 they shifted into a higher gear and the result was the 2005 All In Good Time, critically acclaimed by Goldmine magazine as an unlikely but potent candidate for CD of the year. PPL and Craig approached the project with an attitude that sums them all up: They were not out to try and make a killing but put together something they could be proud of and hopefully appeal to it's strong fan base. Above and beyond all else they wanted to enjoy themselves. They exceeded expectations. While Craig did not get the attention of say, a James Taylor, or other singer songwriters of the day, he also can sit back and state he never experienced the many pratfalls that go along with it. He called his shots, experienced the highs and lows, the frustration and adulation, did the picking and choosing. Now he gets to smile about his past, present and future.So do we. Tom, that probably is one of the longest Pure Prairie League related posts I've ever read! That visibility thing actually really makes sense! I recall reading about Craig being forced to depart from Pure Prairie League due to serving 6 months in jail for intentionally avoiding the draft. That would seem really unfair for Craig, knowing that you have a hit single growing out there, and you're stuck behind bars! As for All In Good Time, I always thought the album flopped? I don't know why, it just seemed like the album left as quick as it came, but maybe I'm wrong there. Fuller seems like a very wise man at the way he is described, as well as a very kind soul! Whenever I hear about him he always just sounds so nice. I have to wonder why Fuller didn't stay in Toronto, Canada when he was avoiding the draft, was it because the recording studio was in North America? There have to be some in Canada, so why not just find one up there? If he was trying to avoid the draft, Craig didn't do that well at it ha-ha! Oh well, at least in the brief time with Pure Prairie League, he produced two amazing albums, as well as a good album in Pure Prairie League's more recent years. As for American Flyer, that was a great album, and the band produced two very nice albums. There were of course some problems with it. Geroge Martin was known for insisting that everyone get a track on that album. This led to some good and some bad, the good was you got a fresh taste on each track, the bad was just the same thing. I of course am referring to Doug Yule and Eric Kaz. Now let me set the record straight, I'm a Kaz fan. But "Drive Away" was a abysmal track for the album, I even preferred the demo version of it which can be found on "1000 Years Of Sorrow". I'm guessing Kaz was just throwing out a track there. As for Yule, why didn't they do more research on him... Sure, he was in Velvet Underground, but only in the later years, and he released the infamous "Squeeze". One of the most awful albums of the early 70's, and it destroyed any hopes of there being a return of VU. The story behind that album was that Lou Reed and the other members of the band departed, so it was just Doug Yule. He stuck around and snagged the title "Velvet Underground" in order to cash in on their mild success. He recorded every song and did all the instruments, except for a session drummer that he called in. It was basically a album only by Yule. Least to say, it bombed, just like Yule's tracks on the American Flyer album. I can see why Kaz was in American Flyer, his writing with Fuller's lyrics go great, and the two were good friends, but Yule was just unnecessary. It's really not Eric's fault that he had to sing on that album, like said, Martin was very insistent on them all singing. As for that billboard review, whoever reviewed it needs a good smack in the face for saying "Lady Blue Eyes" is the highlight and not featuring "Let Me Down Easy" as a suggested cut. Eric Kaz Said: "Drive Away: I recorded this song on the first American Flyer album. George Martin produced the album and he was very interested in having all the band members record and sing something on the album that they wrote. Although there were better vocalists in the band, like Craig Fuller, and each writer had very distinctive styles, George was very fair with everyone. I learned a lot about how to approach the recording process with George. Being in his presence was an invaluable experience." When It comes to Martin, it seems American Flyer may not have been something he should have touched, he may have been more used to all 4 guys being able to hold a flame when it comes to singing (The Beatles) but with American Flyer, Fuller should have been the only one singing. On the second album, I prefer the variety, and I feel everyone but Fuller's tracks are stronger. Kaz's "Gamblin' Man" and "Keep On Trying" are fun and upbeat, Steve Katz's "The Good Years" is a beautiful song and "Victoria" is another fun upbeat song, and, thank God, Yule only gets 1 track, "Flyer", which sounds like an exact twin of Lady Blue Eyes. I could merge the tracks together most likely. Craig Fuller - Eric Kaz was my favorite album of all time. But with that album came a lot of "No-No's" and "Yes-Yes's". One of the No's came with the advertising campaign, if you look at the American Flyer ad campaign, or do a few Ebay searches, you'll find about 5 unique ads, with the "Fuller - Kaz" album you'll find 0. The album had no way of getting out there if hardly got any attention brought to it. Another "No" was the amount of copies they made. It's never good when there's more "Not For Resale - Don't Distribute" copies than there are regular. As for Fuller still being good friends with Kaz, that doesn't surprise me at all! They've been seen in public together on a few occasions, as well as performing both together at the Lowell George Tribute concert after their split. As for Fuller receiving the most mentions for recommended cuts, he did recorded about 50% of the American Flyer album, and in Kaz's defense, Eric sung 1/5 of the Fuller Kaz album. I always thought You Take A Heart was a very lovely track, you'll even notice it on the selected cuts when Cry Like A Rainstorm isn't.... Someone please smack that darn critic in the face. At least he gave the album a great star rating with 4 1/2. As for there being a single, there was one. "Annabella" with a flip side of "Let The Fire Burn All Night". That was another No No, they should have used Feel That Way Again with a flip side of Restless Sea or Annabella. Let The Fire Burn All Night was a very poor song in my opinion, but then again, the "B" sides back then were never that good. He also released several tracks exclusively online. Fuller is an incredible talent, and while he's not Jackson Browne popularity, that may be for the better. It gives him more time to spend with his family, which is something that always comes first! I hope that one day I might be able to see Fuller in concert, until then, I'll keep listening to his albums! Last edited by FullerFan76 on Fri Jan 25, 2013 6:25 pm, edited 1 time in total. I just made an incredbly long post, then got bounced off when I posted it! So much for that ! Maybe some other time when i'm not so pissed. Hmm, anyone recall all the bitchin' I did years ago about problems with the site, which sadly fell on deaf ears? And the frequency of folks posting fell by the wayside simultaneously. Coincidence? I know that I became so frustrated with the problems posting and logging in that I disappeared for quite a while. And now, quite ironically, I have no problem at all logging in or posting. Some kind of perverted karma maybe? Anyway, appears that the curse has been passed on to other victims now. Sorry 'bout that but I am thoroughly enjoying all that has been posted recently. Keep on trying, guys and gals. Man, I hope Craig and Patrick come to Jersey soon...would love to see them sharing the stage. Appears that you were not warned about the PPL hazing process. And this is only the beginning! Well it‚Äôs only been over a month since I posted. That‚Äôs just the way it‚Äôs been going and I‚Äôm always optimistic there will be more time for me to get stuff on here. Exhausted and aching has been the case. Spring is on the way. As for the frustration I mentioned when trying to post, in part, it was a rookie mistake by me. On long winded posts, of which I‚Äôve had many, I usually hit preview at various times which seems to restart the clock . That‚Äôs to say there is a timer which will bounce you , although I don‚Äôt know how long it is and consider it an unnecessary function which should have been dumped ages ago. There was a similar setting when the site came up which deleted the entire forum after so many days. That I fixed. As for getting dumped at the login, I‚Äôve never had that problem. That was a set up for Dan Williams XVMCIII, designed to test his fortitude. Dan came back like a good prairie dog always does. It‚Äôs always great to hear from Dan, a guy who‚Äôs been here since the site came up. ‚Äú‚Ä¶pleasantly surprised‚Äù Dan ? I won‚Äôt bother to remind you that you also said you wouldn‚Äôt have bought tickets had you known Craig wouldn‚Äôt be there ! Oh well, I guess maybe I just did , so I might as well go all the way. I TOLD YOU SO ! There, it needed to be said. It takes a big man, a man like Dan Williams III, to admit such a serious lapse in judgment and an even bigger man to say I told you so. Seriously, this year Dan, we‚Äôll catch up someplace, we aren‚Äôt getting younger and neither is PPL for that matter. They just disguise it much better than most. Getting back to the most recent response from FF76 post, which was most appreciated , I‚Äôll offer a few more thoughts. As for Craig and the draft, I‚Äôve always felt the phrase ‚Äúavoiding it‚Äù which has been used so frequently, perhaps isn‚Äòt the proper and most accurate way to view the situation. He went by the books, applying for C.O. status. He bounced around a few different courts during the process which proved to be quite cumbersome on him personally and certainly a huge problem and drain on the band. In the end, he wasn‚Äôt granted the C.O. status he sought and chose the option of giving up his freedom, a huge decision for anyone to make. He was then assigned to do community service in a hospital for about two years. He never ducked out on the process, and held his ground and beliefs until the final, unfortunate outcome. He was granted a full pardon by President Ford, whose son, by the way, was a big PPL fan, yes no joke. I‚Äôve always viewed it as a courageous yet incredibly difficult time for him. Given that it‚Äôs hardly a fond memory for him, I for one, never mention it, only when I see I brought up on the internet. Craig was not incarcerated when Amie became a hit . He was working in the hospital. The song didn‚Äôt hit the charts until spring 1975. Craig has stated ‚Äúit was probably more difficult for the guys in the band than it was for me.‚Äù He said the really strange part was having people he worked with coming up to him at the hospital while his sonhs were all over the radio. After Craig left , the band continued on. They gained a strong fan base, generated much airplay through radio requests and RCA, which had dropped them when Craig left,, resigned them in late 1974 and put them in the studio to record Two Lane Highway, a major success. Craig declined to continue, was working full time in the hospital and attempting to still be in the band just couldn‚Äôt work out. At that point he determined he was done with PPL, his musical future in the air. It was Dennis Katz who contacted Craig while he was still working in the hospital. Katz was connected to PPL during Bustin‚Äô Out . I think he was head of RCA A&R. If you check the discography I did (well hidden I might add, most sites have a main link on top of the home page , this one has a small note located halfway down the page on the music links ) you‚Äôll see Katz received a thanks in the notes. Dennis Katz spoke with Craig about AF, a new band. He also asked brother Steve about helping out , but Steve didn‚Äôt want to merely help, he wanted to be in the band. That‚Äôs how Katz ended up in AF. According to Katz, a few of them didn‚Äôt want to work on a road show and tour, the guy who signed them was fired and they decided to end it all. That somewhat coincides with Craig‚Äôs version, along the lines of some not really working at the project except as I mentioned in the previous post, Kaz and Craig. As for the CD All IN Good Time, I‚Äôm not sure why you thought it didn‚Äôt do well or that it disappeared quickly. I‚Äôll offer is this: it was a project the band had full control over from start to finish. In ‚Äò05 they commented at concerts a new CD was on the way. It was released in the final weeks of 2005 . It was sold via the website only and at concerts. It wasn‚Äôt the same approach of course as the 70‚Äôs: no ads, no commercials , simply word of mouth through this site. The band joked ‚Äú It wasn‚Äôt so much released as it escaped.‚Äù Like I‚Äôve said many times, they declined offers, stating they were not out to make a killing, they wanted complete control. The sales of the CD far exceeded their expectations, especially considering the approach they took. It continued to receive superlative reviews for many months after it‚Äôs release from major magazines especially in Nashville, not just from bloggers or music fans, but reputable sources. When GOLDMINE magazine reviews it as ‚Äúan unlikely but potent candidate for CD of the year‚Äù you know you‚Äôve got something special. Many articles appeared on this site and in the forum. It received huge airplay on satellite radio. A month or two after it came out, one station began listing it on their Top 50 most requested list for 3 straight months, the most a release is allowed on the list. It hit #1 on their most requested list after an extensive stay in the top ten. All without a single ad or a dollar spent promoting it. The best indicator of how well it went is the shows. Songs from the CD are still on their set lists today at every concert and are treated with the same response that the classics from the 70‚Äôs and 80‚Äôs are given. The band works very hard at keeping the set fresh, always shaking it up so they and fans won‚Äôt go stale. They have much to draw from. No way they would continue with songs from AIGT if they did not go over well. I don‚Äôt think you will find many southern/country rock acts from the 70‚Äôs who met with this type of success. All of this has been posted previously on here but it‚Äôs good to have a refresher now and then. On your list of Craig releases, he also was on The Ultimate Prophecy , released prior to PPL‚Äôs debut. That was put together by another friend from Ohio J.D.Blackfoot. Several years back he also contacted Craig, but Craig was unavailable. John Call did appear on Yellowhand several years back after Blackfoot. called him. Craig joined the Ultimate Prophecy project midway through the album and ended up doing one side of it, or 5 songs. A song from Bustin‚Äô Out, Angel, first appeared on this LP. It‚Äôs unlike Craig‚Äôs other work in terms of style, has a real late 60‚Äôs feel to me and Craig has some great guitar work on it. Blackfoot‚Äôs work on it is as different as could be from Craig‚Äôs, making it a very unusual project. Craig also appeared on the 1987 PPL CD Mementos, a CD which again recorded fan favorites through the years as well as a few new tunes. That release brought back members from prior years as Larry Goshorn, Gary Burr, John David Call, George Ed Powell and Vince Gill joined Mike Reilly, Tim Goshorn , Mike Connor, Joel Rosenblatt, and Dan Clawson. Craig had two new ones on it Ironic note : Gill sang Amie in his PPL years. On this one Craig sang Gill‚Äôs I‚Äôm Almost Ready and Let Me Love You Tonight as RCA would not permit Gill to sing on it. Craig had a composition he wrote with Kaz called Never Thought Love Would Find Me. I love it, great vocals. Craig sings 9 songs on it. FF76, It‚Äôs really too bad you didn‚Äôt get to see Craig when he still toured with the band for about 6 years , but as Danny Boy III (ST. Pat‚Äôs is coming up!) found out, even the most die hard Craig Fuller fan would love what the guys are doing now. Don‚Äôt make the same mistake RCA made in FEB 73 ! Right now, Craig is scheduled to appear with PPL in Texas on 5/ 18. He was going to be with them at a recent Kentucky show, but was said to be working on a project and could not make it. That‚Äôs all for now, hopefully I can be more active . Thanks for clearing that up about Craig Fuller and the draft. Some of this stuff can be pretty confusing, as it seems just about every source has a different story, but I think yours is probably the most accurate. It's pretty cool that one of President Ford's sons was a Pure Prairie League fan, but how could you not be? I also wouldn't bring the topic of the draft and that stuff up with Craig if I ever had the chance to meet him [which i probably won't]... It defiantly wouldn't be an appropriate topic, but it was something I was curious on. Ah, I see. So was the farm and grounds you're mentioning the same location as the photos on the flip side of the Bustin' Out album? It might not be but I always thought with having heard about the farm setting and seeing the photos of Craig and the band in a stage coach that those were photos of the farm Anyway, are you sure they weren't going to Canada for Craig to stay safe from the draft? I know you covered that it wasn't, but this was a common thing when the draft occurred for the Vietnam war. With Pure Prairie League Mementos, did Vince Gill sing Amie on it? I've been searching desperatly to find a recording of vince doing that song, I've seen a video of him doing it live in like 2012 or so, but I was looking for like a studio recording or at least a live recording from when he was younger. I'd also be interested to hear Craig sing Let Me Love You Tonight. Is this CD still sold or will I have to go on Ebay to get it? Also, with Pure Prairie League, I've been considering seeing them on their tour, but are they still a powerful group like they once were? Do they compare to what they used to be? Also, Nice ads from Fuller Kaz, and a nice photo of Craig! I would love it if there were any other photos of Fuller and Kaz, there's not a lot out there.